Tooncast was launched by Cartoon Network Latin America in December 2008. The channel features all of our classic and favorite cartoons. Behind the scenes of me directing the green screen shoot at Turner Studios. The crew used a Sony F950 HD camera mounted on a Milo Motion Control Unit for precise and repeatable camera moves. 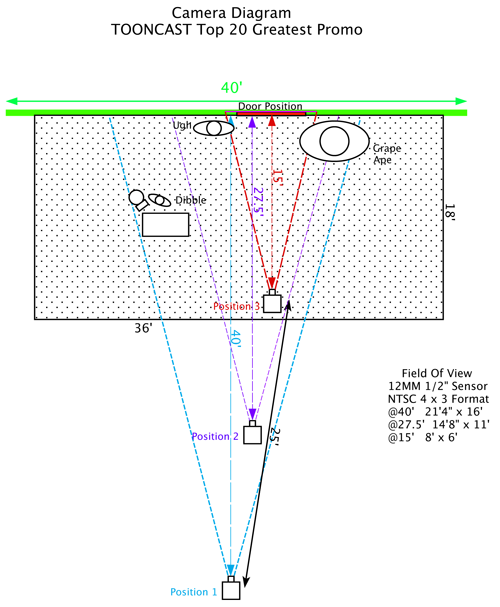 The live-action plates and motion control data were later used in the 2D/3D animation phase of the production. A big thanks to Turner Studios for providing this video clip. 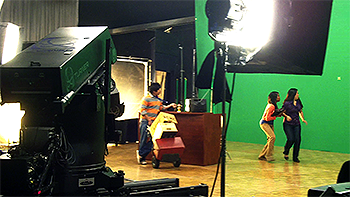 Turner Studios is one of few companies in North America to own a Milo Motion Control Unit. This portable motion control system features a solid portable platform with eight axes of robotic control for visual effects that require precise control of camera movement. It's ideal for shooting stop motion, miniatures and models, high speed & slow motion, time lapse, table top work and live action that's combined with animation. ©2011 Turner Studios. All Rights Reserved. TM & © 2011 Tooncast. A Time Warner Company. All Rights Reserved.